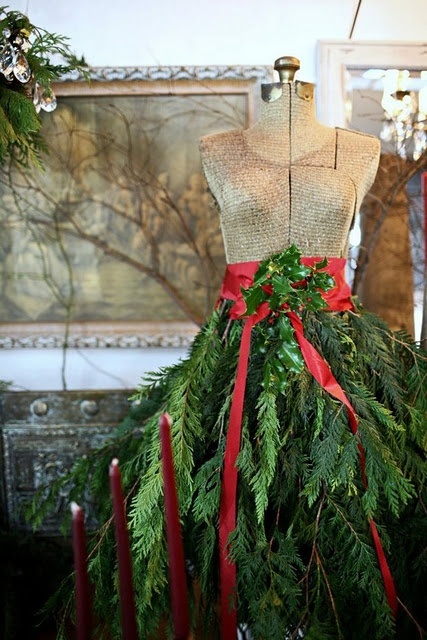 Have you been on Pinterest a lot this holiday season? 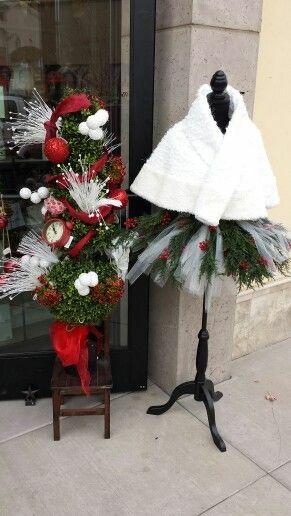 I’ve done my fair share of pinning, especially holiday décor ideas. On more occasions then I’d care to admit I’ve found myself deep into the “Holiday & Events” board on Pinterest….oh the sleep I’ve missed out on. 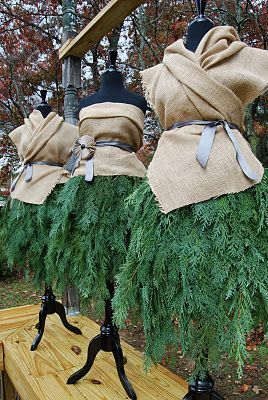 Something new that caught my attention this year, were these fantastic interpretations of “tree skirts” . I’m sure they’ve been around for ages, but for whatever reason, I felt like I saw a flood of them, and I liked it! They all looked so stylish and festive; I just wanted to share a few of my favorites with you. Unfortunately, there appears to be a lot of image steeling going around, and it’s hard to track down a lot of the original sources, but I’ll share what I can, or at least where I found it. Red and white, with a pop of shiny baubles, what’s not to love about this design? And speaking of white, this beauty is all white and fabulous. I could see this in a salon window or a boutique display, don’t you? This is one of my favorites. 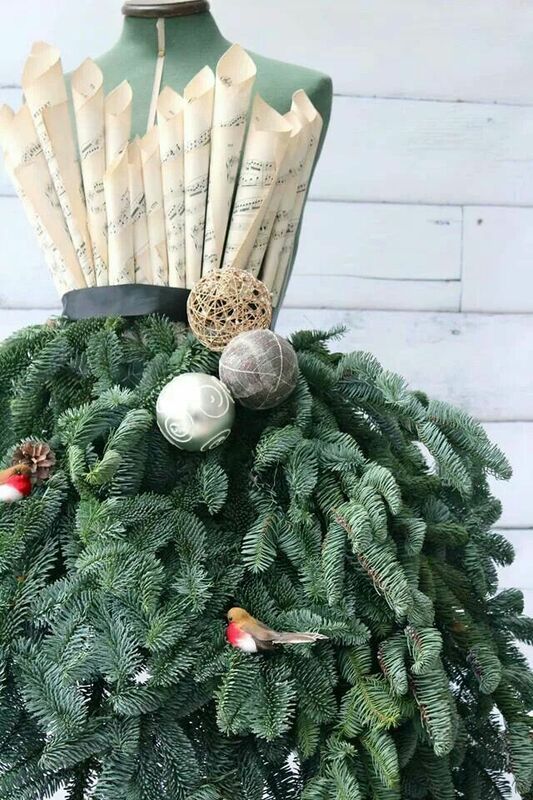 I love their use of evergreen branches with ornaments and music. So elegant! I wish there was a link to the original post. 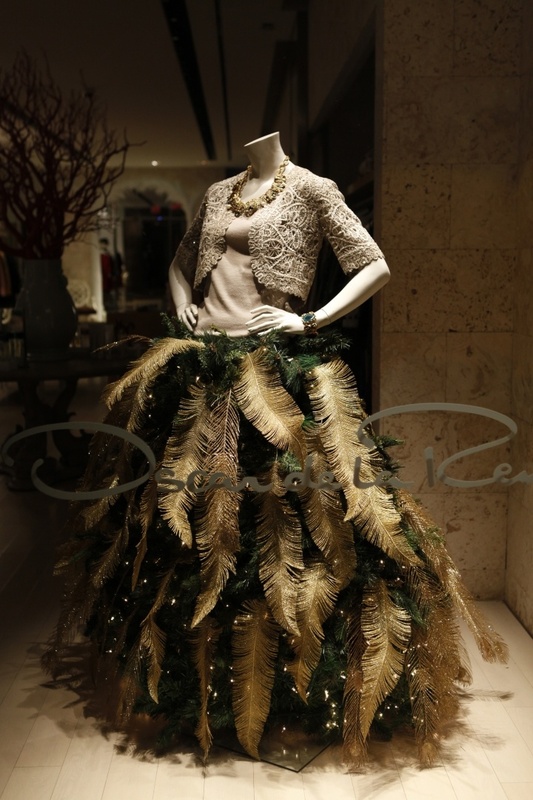 I couldn’t resist sharing this lovely piece from Oscar de la Renta. The feathers just make this look, don’t they? I love the light touch of mini lights mixed in as well. So now that you’ve seen a few of these looks, what do you think? 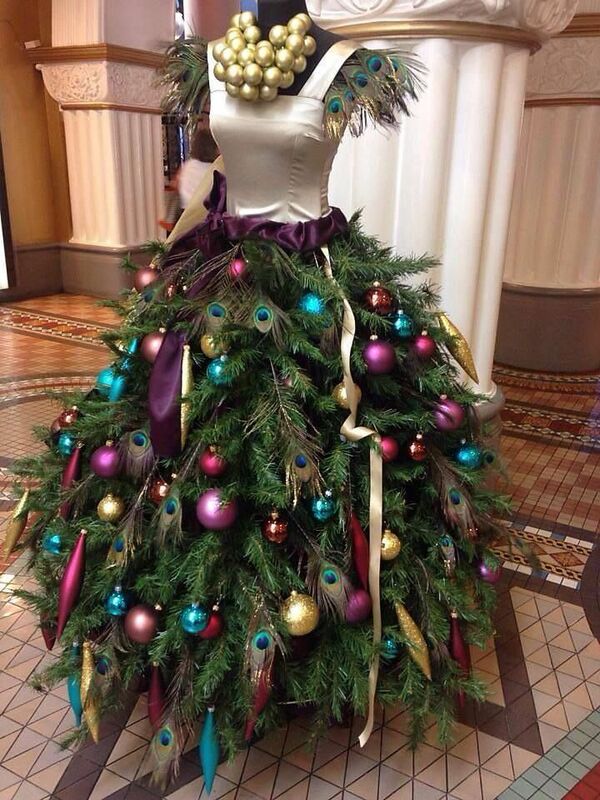 Would you incorporate these into your holiday décor next year? If you want even MORE inspiration, I pinned a bunch more on my Winter Wonderland board on Pinterest. Check it out if you’d like to see them. Would you display something like this in your home or office? 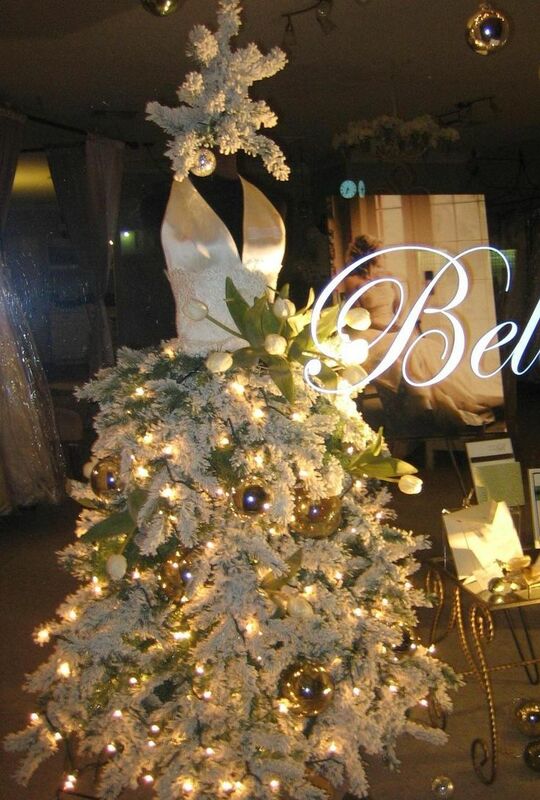 Or perhaps a display window where you work? So could one make something like this and wear it? Cuz that would be awesome! I don’t see why not! I bet it would be pretty cool to see, just a tad challenging if you had to sit down.